Playing murder songs by Johnny Cash, Tom Waits, Marty Robbins, Nick Cave and others, in Dusty Ravens’ inimitable Mexicana style. 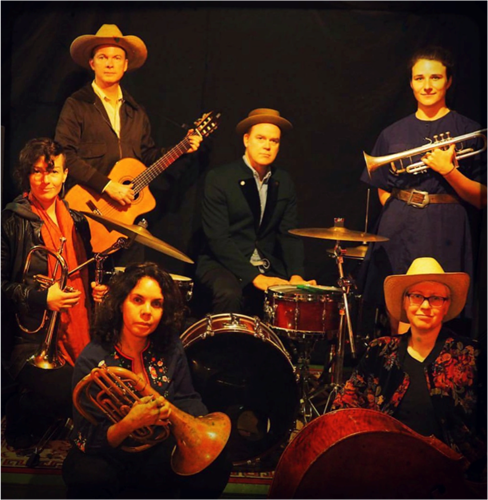 Featuring guest singers Alannah Russack (Humingbirds), and Peter Fenton (Crow), along with new member of Dusty Ravens - Jason Walker on Pedal Steel guitar. Dusty Ravens will open the night playing their recently released and acclaimed album ‘Low Down Jimmy’ in album order. Colonel Dubya P Flawstane will spin some murderous tunes on the gramophone between sets.